Mardi Gras in New Orleans is an event unlike any other. Nowhere in the US can you dive so deep into a decades-long tradition of fun and fancy. In fact, it’s the perfect place to escape the ordinary hum-drum of everyday life. But going to Mardi Gras isn’t all fun and games. Hundreds of thousands of people descend on New Orleans every year for a raucous good time. To make the most of your adventure, you MUST have a plan! 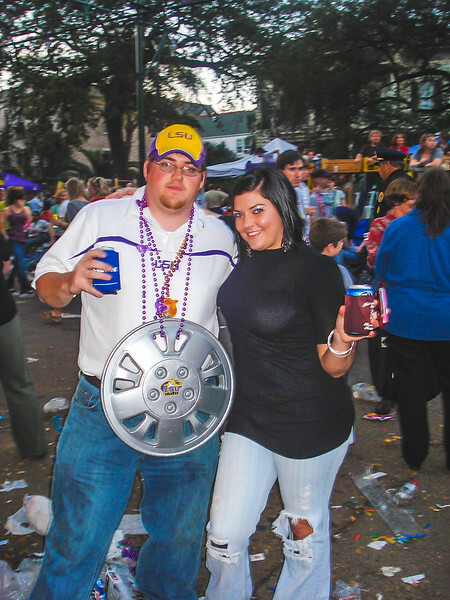 Scroll down to read my Louisiana Girl’s Mardi Gras Guide for first-timers. Why Go to Mardi Gras in New Orleans? Although there are many other (and equally as fun) Mardi Gras celebrations throughout the South, Mardi Gras in New Orleans truly is something special. Sure, Mardi Gras in New Orleans does have a bad reputation, but, the truth is, Mardi Gras is amazing. Don't let a few bad apples ruin the bunch! 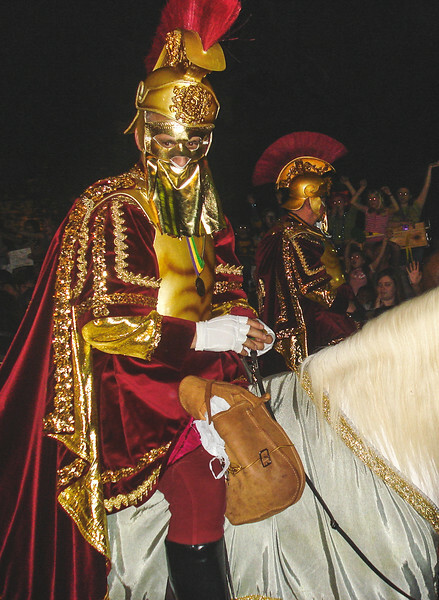 Head to New Orleans for Mardi Gras to experience amazing people, music, food, and parades. And I'm not talking about just any old parade, my friend! These parades are over the top! I've been to Mardi Gras in New Orleans many times. And, believe me, if I weren't so far away, I'd likely be there every single year. There's something special about the city during carnival season. (Most) people are friendly and eager to get to know you. The drinks are plentiful, and the food is always out-of-this-world good. Even so, you still need to know a few things for the best possible time. 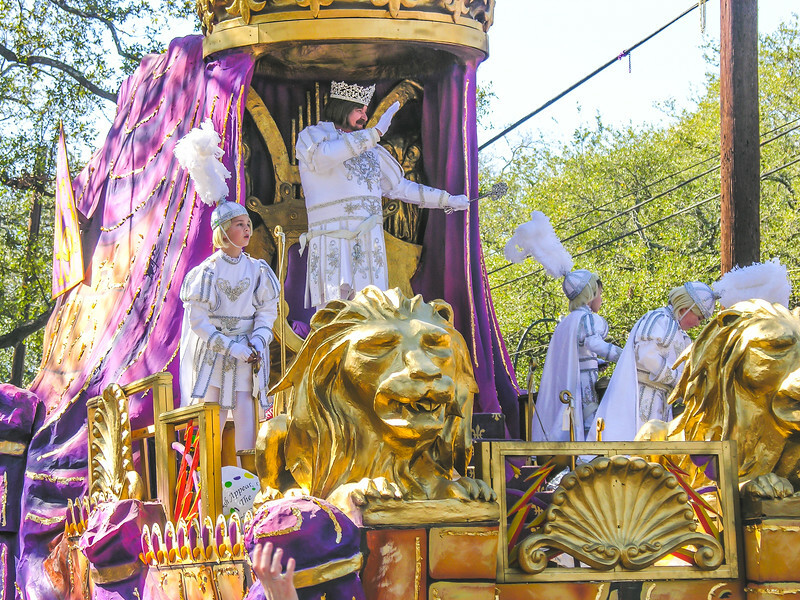 Use this Mardi Gras guide, along with my Louisiana girl's guide to visiting New Orleans, to learn more about my favorite holiday! 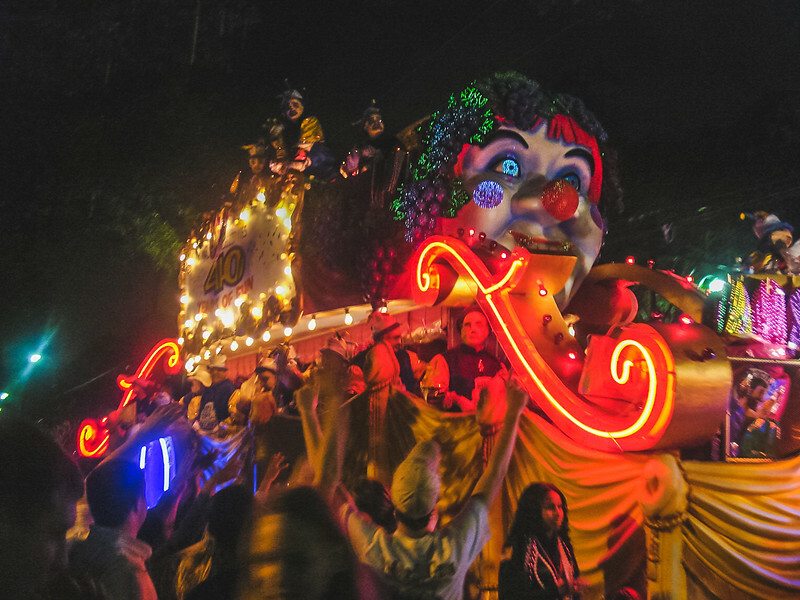 Carnival is about more than parades, my friend. There’s tons of tradition behind the masks and beads. Enhance your Mardi Gras experience by doing a little research. 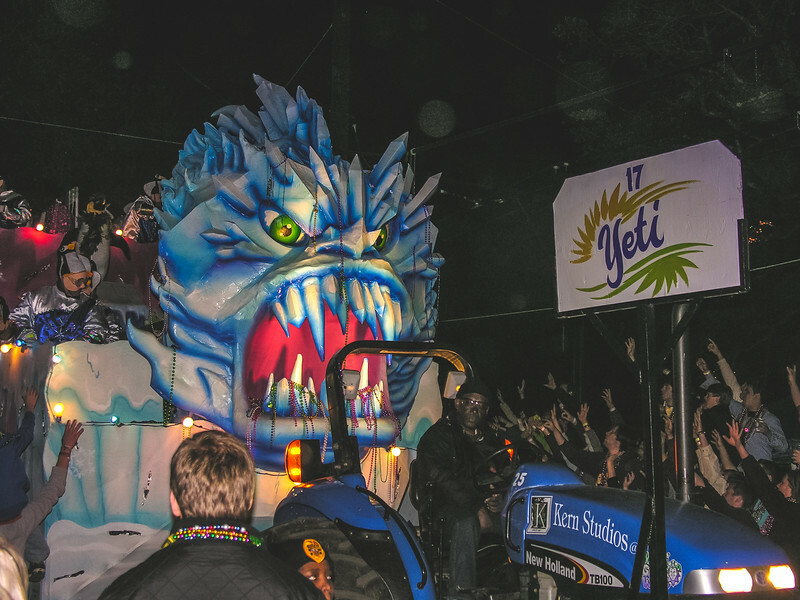 Learn more about Louisiana’s culture and deeply-rooted traditions, all of which play a massive part in the ongoing Mardi Gras festivities. 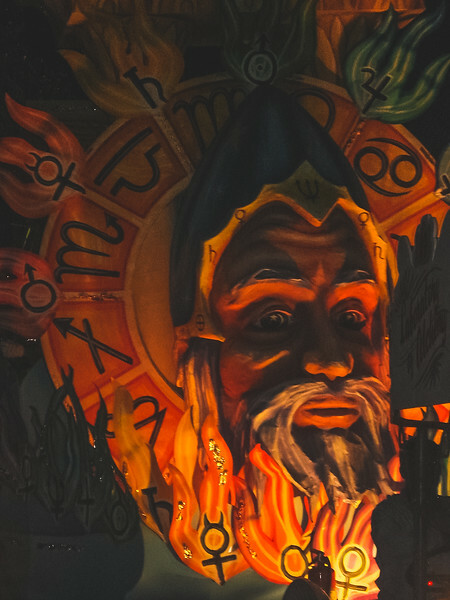 Mardi Gras was first celebrated in New Orleans in the 1830's and consisted of small parades of people carrying gas-lit torches called flambeaux. Throws were first introduced in the 1870s, as were krewes (groups of local citizens who organize events and parades). Since then, it's become one of the prime New Orleans attractions. People come from all over the globe to experience the revelry. But Mardi Gras is celebrated in other places throughout the U.S., South America, and Europe. Although Mardi Gras is technically only one day (Fat Tuesday), festival season is observed from Twelfth Night (or Epiphany) through Ash Wednesday. 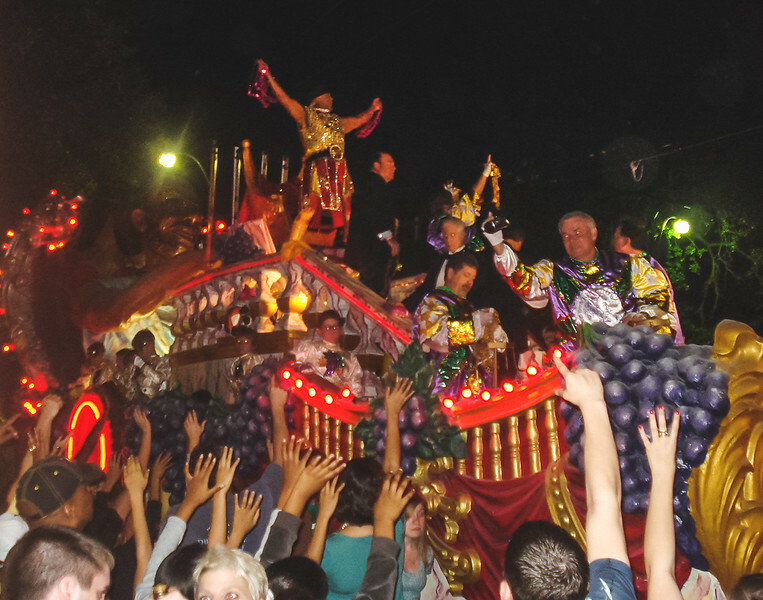 Mardi Gras was originally intended to give Christians an opportunity to indulge in food, drink, and activities that are off-limits during Lent (fasting period before Easter). Over the years, it's morphed into a local tradition and has even become a state-wide holiday. Fat Tuesday is a legal holiday in Louisiana, meaning children are out of school and many local businesses are closed in observance of the holiday. 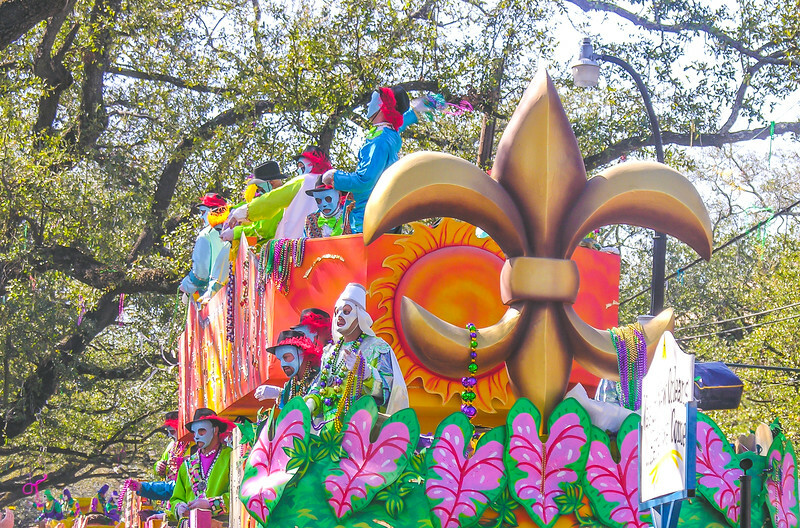 Parades and events can be found for weeks leading up to Fat Tuesday, but most people flock to New Orleans for Mardi Gras weekend, which begins the Thursday before Fat Tuesday for the main event. Enough history though! Let's get on with the Mardi Gras guide! I’ve said it before, and I’ll repeat it. Avoid vacation rentals in New Orleans, especially during Mardi Gras weekend. Not only does it put you in danger, but it’s just not cool. While I support vacation rentals in most cities (see my posts on Amsterdam & Vienna), I DO NOT recommend vacation rentals in New Orleans. Instead, opt to stay in a local-owned hotel or B&B with a trusted rating and an excellent location. These institutions help sustain the community of New Orleans, which receives much of its income from tourism. Vacation rentals don't generate money for the city. Plus, vacation rental companies make it difficult for locals to find affordable housing. Do NOLA a favor, and stay in a local hotel or B&B for your first Mardi Gras. Are You Sure You Know Where to Stay in NOLA? Most of the parade routes cover large swaths of historic New Orleans, meaning you’ve got options when choosing where to stay during Mardi Gras season. If you're planning a French Quarter experience, try staying in the heart of the Quarter, slightly away from Bourbon Street. Any good Mardi Gras guide will tell you that having access to a bathroom is important during the parades, so keep that in mind when booking your lodgings. But remember, the party never ends during Mardi Gras weekend. Noise can be a huge issue the closer you get to Bourbon Street and Canal Street. If you're a light sleeper, you may also consider staying in the Central Business District on the other side of Canal Street. 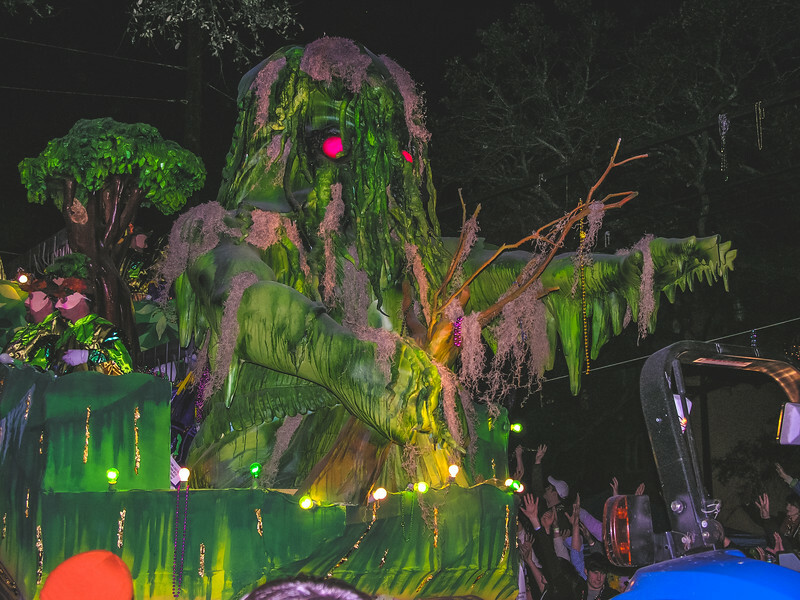 If you’re hoping for a more chill Mardi Gras vibe, then stay uptown in the Garden District. 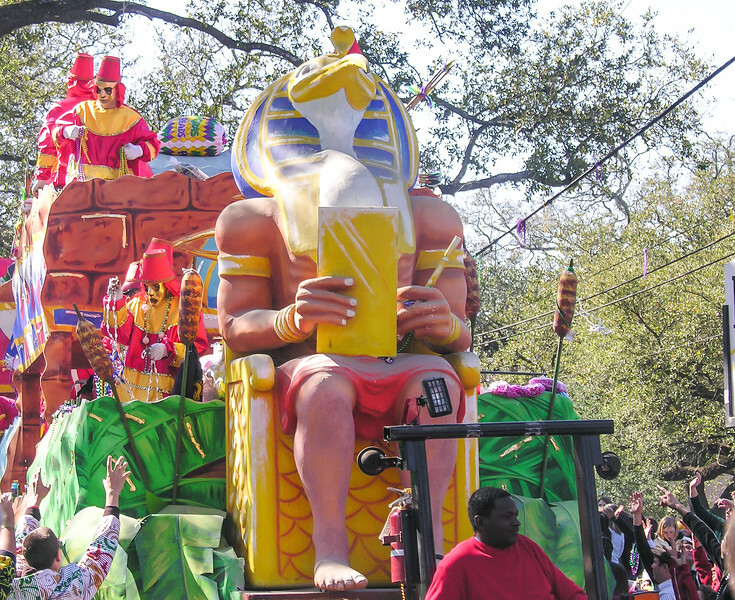 Many of the best parades pass along St Charles Ave, so you’ll have front row access without all the drunken debauchery. In fact, this is where most locals go to watch their favorite parades, and where I head anytime I'm in New Orleans for Mardi Gras. Simply find a patch of ground to call your own and camp out either close to your hotel/B&B or a local restaurant. Book your hotel in advance. If you learn only one thing from this Mardi Gras guide, please let it be this. Plan your Mardi Gras trip well in advance. Anyone wanting to stay in a prime location during the height of festival season needs to book a hotel room at least 8-12 months in advance. Rooms go quickly, and prices skyrocket the closer you get to Mardi Gras season. Try booking in advance with a hotel that’ll allow you to cancel in case plans change. Last minute travel is a great way to save money, but not the best approach for Mardi Gras. Trust this Mardi Gras tip!!! Search for New Orleans hotels on Hotwire! Go to the right parades. 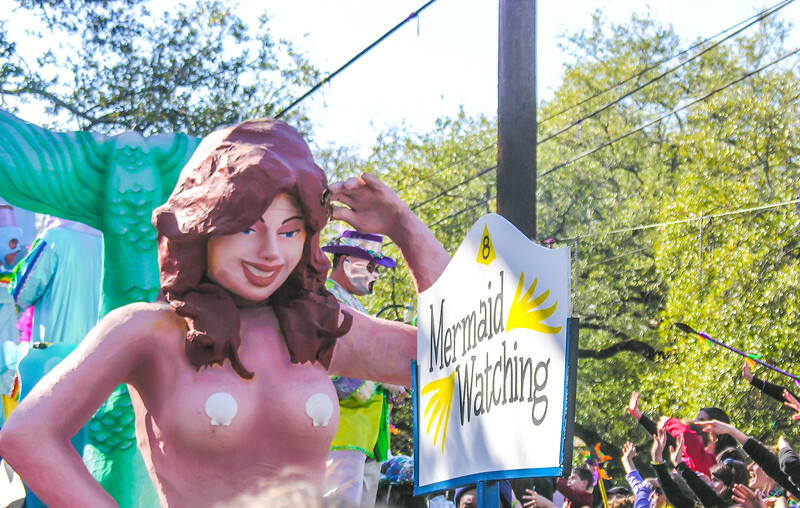 Knowing when and where your favorite parades are starting is important. You'll want to arrive at your parade spot at least 3-4 hours ahead of time. That's the only way to make sure you'll have a place to watch the parade (unless you're paying for a spot on a grandstand or balcony). Use the handy Mardi Gras Parade Tracker app to plot your parade plans. While it may be tempting to stay on Bourbon Street to watch Mardi Gras parades, Bourbon can be chaotic. For those with extra cash to spend, find a Bourbon Street balcony with spots for rent. Many of the businesses and hotels along the parade routes offer grandstand tickets or reservations for patrons, as well. Either way, you'll pay per-person for access to these "luxury" seats. Of course, you can simply just stand anywhere along the parade route to see the action, but my favorite place to watch parades is on St Charles in the Garden District. Watching the parades in the Garden District is usually calmer and more family-oriented. Locals usually watch the parades in this area, so you'll see a lot more kids than in the French Quarter. And don't panic when you see kids sitting on top of ladders. That's typical Louisiana front-row seating for kids during the parades. Transportation during Mardi Gras weekend can be tricky, so it's best to be prepared to walk. The French Quarter is essentially closed to vehicular traffic during parade times. And many of the streetcars, buses, and ferries will be running alternate routes or delayed schedules. Shuttle buses are offered as an alternative to normal public transportation as a means to get people to/from parade routes. It's best to check the official New Orleans transit Mardi Gras guide if you plan to rely on public transportation during your Mardi Gras festivities. You should also know that taxis, Uber, and Lyft are likely to be unreliable during peak parade times. And if you're planning to use a taxi or ride-share, be prepared for rate-hikes! Traffic can run up a taxi rate quickly, and ride-share programs are notorious for jacking up the rates during events. Wondering What to Wear to Mardi Gras? Have a plan in case you get lost or separated. I can't stress this Mardi Gras tip enough. It's really easy to get separated in large crowds, especially when people have been drinking. Make sure that each member of your crew has a watch or cell phone (with a backup battery charger) and designate a meeting place in case you get separated. Get to know the major landmarks (statues, churches, hotels) around the city so you'll have a better idea of where you are in case you find yourself lost. Discussing your plans ahead of time is always a good idea. Everyone in your party should have a basic idea of where you're likely to be going next. Creating a Google map with all the points of interest and sharing with your friends can be a good way to be on the same page. Just be sure everyone follows my simple Google Maps hack before heading to the parades, as cell service is likely to be spotty. I've Done the Planning for You! Grab My NOLA Map! Mardi Gras is synonymous with having a good time. But boozing too much can be bad news on Mardi Gras weekend. New Orleans police are out & about on foot (and horseback) during festival season in search of anyone they think is too wasted or looking for trouble. Be sure to keep everyone in your party in check. Lots of people end up in the drunk tank overnight during Mardi Gras. Fighting or obnoxious drunken behavior is guaranteed to get you in trouble. Set a limit for yourself and stick to it. It's tempting to overindulge but don't do it. Be sure to eat & pace yourself. One way to be sure you don't get too wasted is to pace yourself. Stop between drinks to have a bottle of water. It's tempting to avoid drinking water to prevent the need for potty breaks. But getting dehydrated is always a recipe for disaster. Instead, make sure you camp out near a restaurant, hotel, or portapotty so you'll have easy access to a bathroom. Remember to bring plenty of hand sanitizer and personal wipes, as toilet paper and hand-washing options may be limited! Also, you'll need to eat throughout the day if you're day drinking. Try to choose something with high-fat content to help absorb some of the alcohol. Luckily, New Orleans food is notoriously fatty (and delicious). And just in you don't have access to a food source, pack a few protein-rich snacks to munch on throughout the day. Having access to snacks can prevent you from becoming too drunk. Plus, it's pretty much guaranteed you'll stand in very long lines for a chance to buy food. And being HANGRY is never fun. Explore the city between parades. Sometimes you'll have a few hours and sometimes days between parades, meaning you'll have some downtime to explore the city. If you don't have a ton of stuff (ice chests, kids, bags, etc. ), then you'll be able to move around between parades. Mobility means you can shop, rest, or drink in some of the best shops and bars in the country. If you're in need of a few New Orleans travel tips, be sure to get your copy of my Essential New Orleans Checklist! Be sure to check out my other New Orleans posts!